Canada’s North is warming at an unprecedented rate – with dramatic impacts on high-latitude ecosystems and their processes. Jennifer Baltzer, associate professor in Wilfrid Laurier University’s Department of Biology and Canada Research Chair (CRC) in Forests and Global Change, studies the changes that have occurred to land cover in response to climate warming in Canada’s boreal forest and tundra, including permafrost thaw, changing wildfire regime and the expansion of shrubs and trees on the tundra. Ecosystems in the North are defined by ice and snow processes. As the planet warms, these areas are thawing out. When permafrost – ground that is at or below zero degrees Celsius for two consecutive years – thaws, it can have a dramatic impact on the hydrology of the ecosystem, which alters the composition, structure and function of the plant communities. “Because of the hydrological changes associated with permafrost thaw, we are seeing some areas where forests are being lost due to soil waterlogging, and others where drought stress is increasing because of improved drainage,” said Baltzer. Global warming has also contributed to an increase in wildfires across Canada’s boreal forest. “We’ve seen unprecedented wildfires in the past few years,” said Baltzer. In 2014, the Northwest Territories experienced one of the most severe wildfire seasons on record. Last year, Saskatchewan had a serious forest fire, and this year, Fort McMurray garnered international headlines with its devastating fire. “Wildfires are a natural and important part of these ecosystems, but what we’re seeing are more extreme fire events in Western Canada that have the potential to alter the composition of the forest,” said Baltzer. 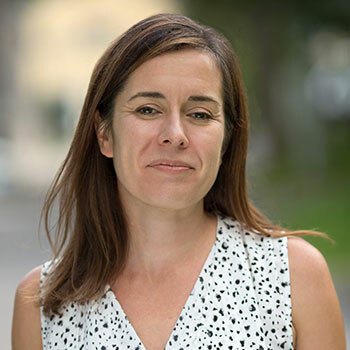 Baltzer is studying how forests in the Northwest Territories are responding to these severe wildfires and whether there is evidence of a change in the state of a forest, called “successional change.” In Alaska, for example, there is evidence of a shift from conifer to deciduous-dominated forests in response to extreme fires. Baltzer also studies the greening of the tundra. Warming is driving an expansion of deciduous shrubs throughout the circumpolar tundra. Baltzer’s team is working to understand the drivers and limitations on shrub expansion and what the implications of shrub expansion are for tundra ecosystem function. Baltzer’s research team works alongside researchers from many disciplines to study and answer complex questions related to these changes and what it means for communities and life in Canada’s north. “Undertaking this research at Laurier is particularly exciting because of the tremendous capacity Laurier has in cold regions research. There has been a significant investment, both in intellectual capacity and facility resources, from the university and the federal government to tackle these important questions,” said Baltzer. Baltzer’s research is supported through a recent Canada Research Chair Tier II renewal.